Model TLC All-Fuel Chimney offers current technology in factory-built chimney design by providing superior performance, durability and safety. 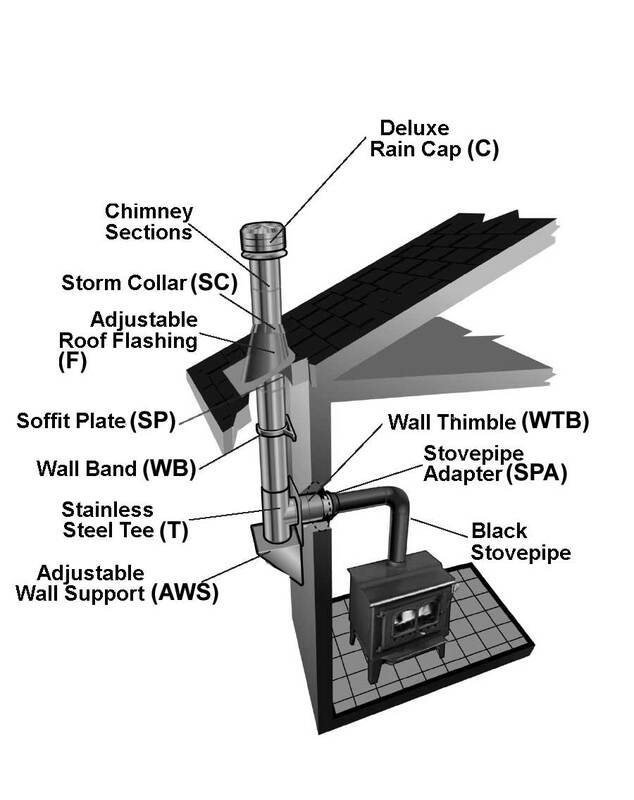 Model TLC is extremely corrosion-resistant. 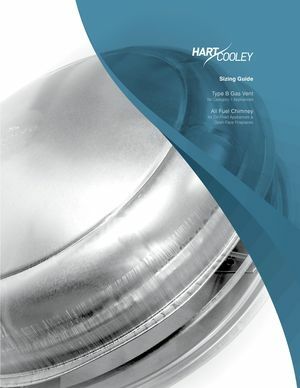 Both the inner liner and outer casings are constructed of 304 stainless steel. Embossed couplers do not allow moisture to penetrate the chimney’s outer wall. 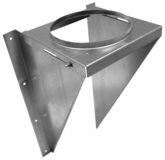 Sections simply twist-lock together and are secured with Locking Bands. 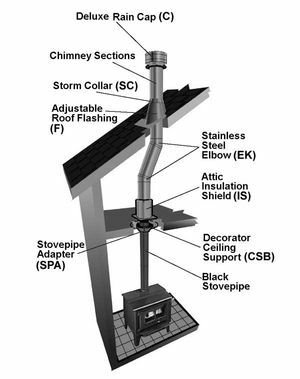 The Model TLC product line features deluxe chimney support components that will enhance any installation. Black trims are used to embellish the chimney support component parts that may be installed inside the home. 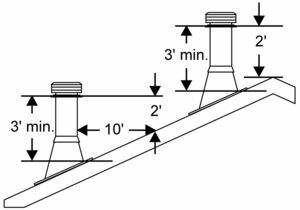 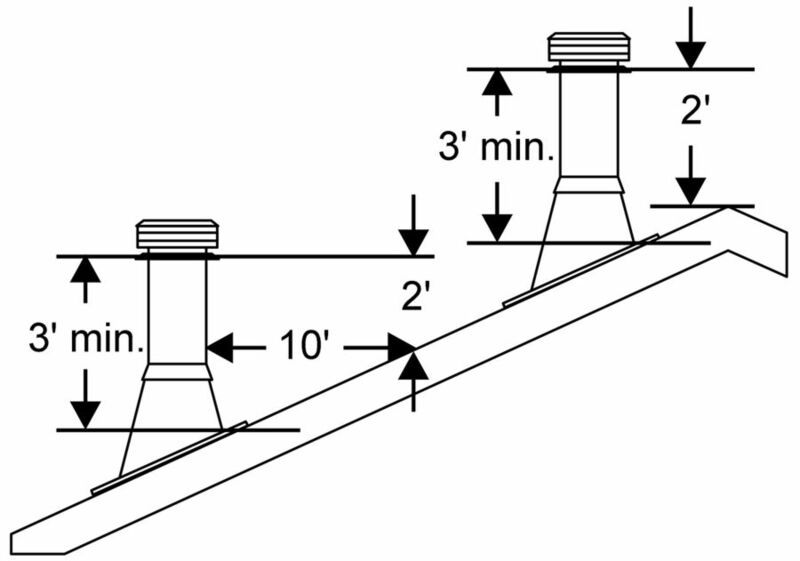 All Model TLC supports are designed to carry four times the UL-listed weight of the listed height. Insulation: The 1" space between the inner/outerwalls is packed with mineral wool fiber insulation to provide superior insulating qualities in a slim-line design. 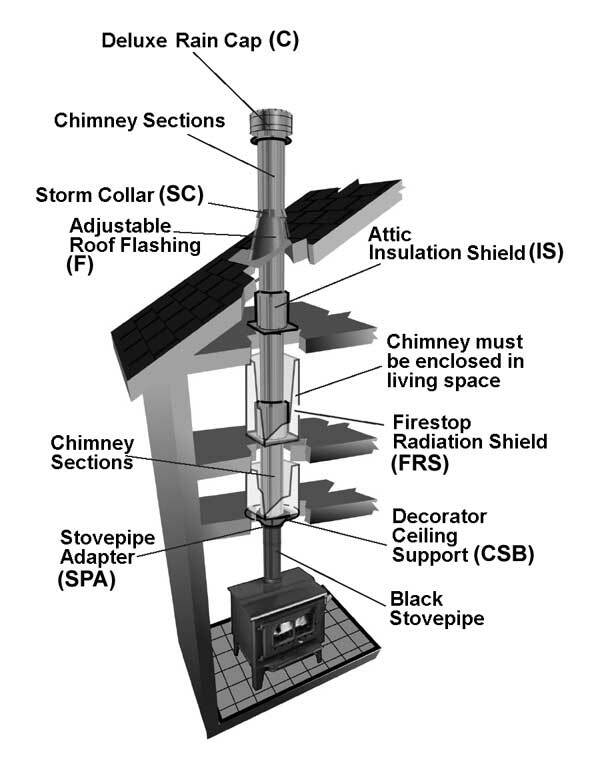 Airspace Clearance to Combustibles: 2"
Model TLC is safety-tested and listed to applicable UL safety standards for chimneys serving solid-fuel and liquid-fuel appliances. 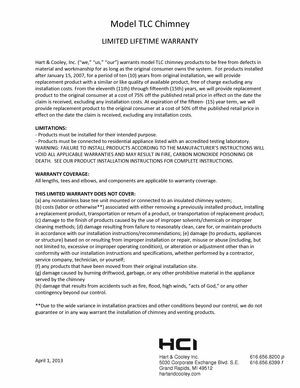 This includes UL 103. 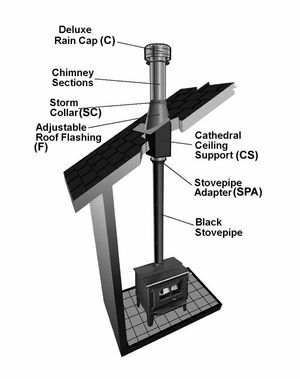 This chimney system is designed for use on appliances that use solid, liquid or gas fuels under natural draft conditions.